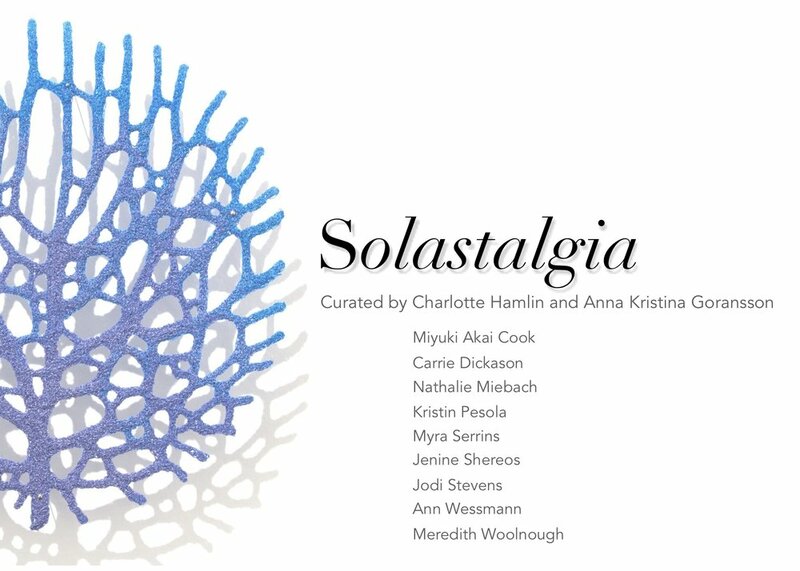 Join us for the opening reception of our Solastalgia exhibit! Solastalgia, a term which combines “solace” and “pain”, is defined as, “the pain experienced when there is recognition that the place where one resides and that one loves is under immediate assault . . . a form of homesickness one gets when one is still at ‘home.’ ” (Glenn Albrecht, 2007). That juxtaposition – our attachment to the beauty and comfort of a known place with a sense of anticipated/observed/concurrent loss – generates appreciation and anxiety. Will the trill and thrum of the natural world be altered, silenced, replaced? What is transience, relative to our human observations?